A fantastic and totally unique display piece which was discovered on the famous Black Ven area. 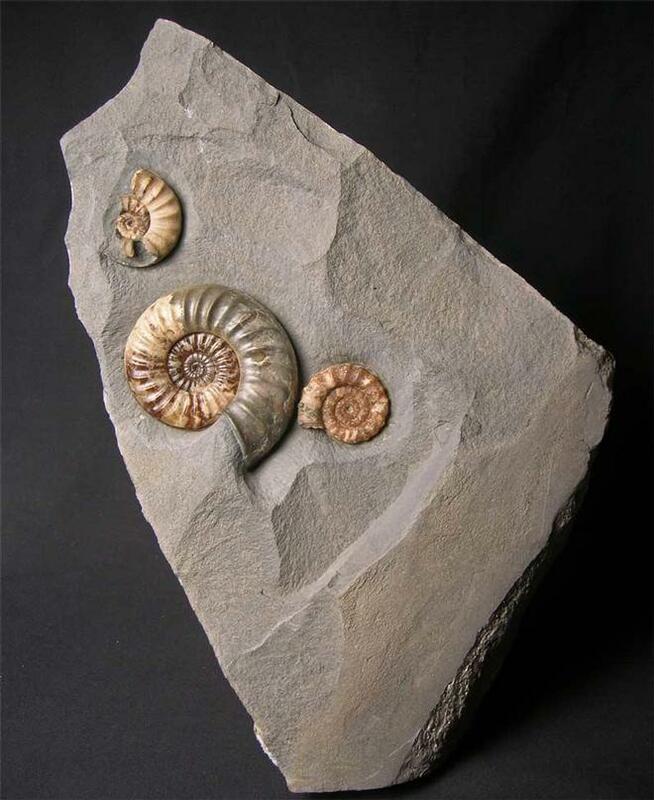 Mary Anning used to patrol this exact location over 200 years ago looking for fossils. 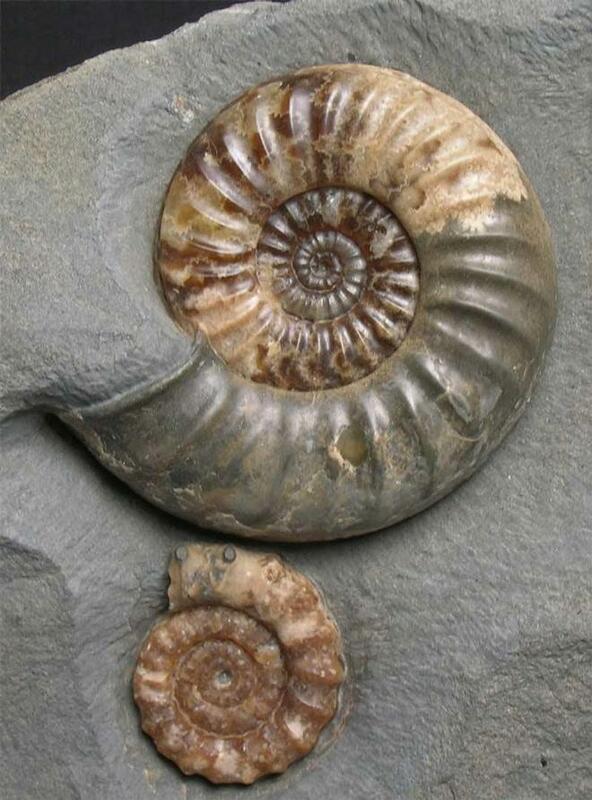 The main ammonite is wonderfully preserved with lots of colours, an immaculate centre and a complete mouth border. 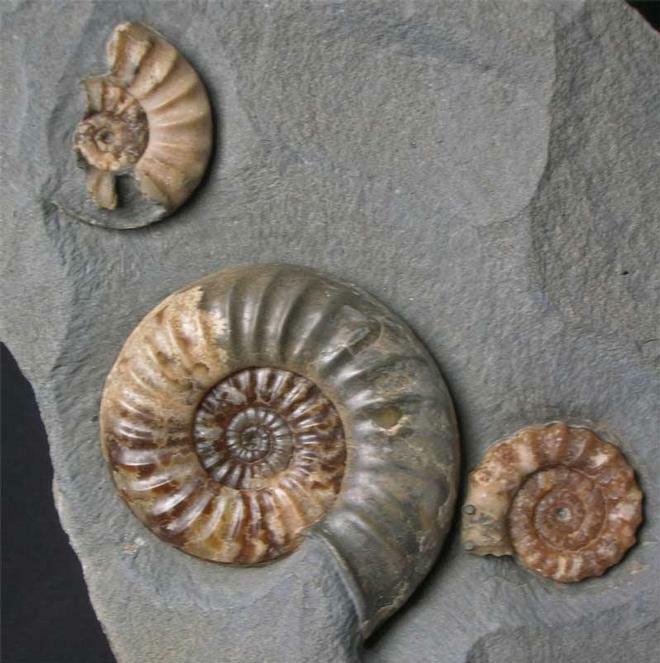 Next to the larger ammonite lies a Xipheroceras planicosta and a above is another Asteroceras which has been predated upon probably by a small Ichthyosaur or predatory fish. The matrix has a cut and level base for upright display. 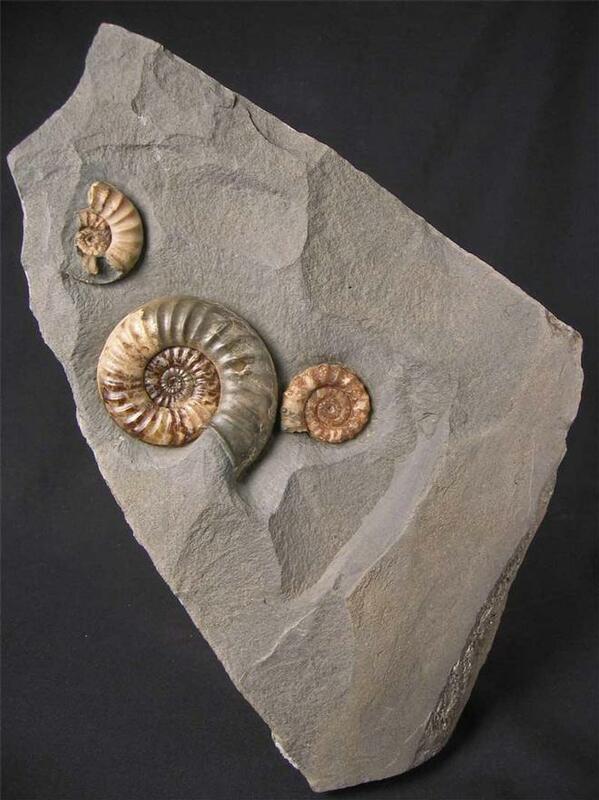 A very aesthetic piece of stone, approximately 200 million years old.